King Rail along the Shoveler Pond drive. I will be making a whirl wind trip throughout parts of the US over the next couple of weeks, tune in and join me! Ed VanBuren and I traveled south west over the last two days, arriving at our first destination, Anahuac National Wildlife Refuge in Winnie, Texas. The long trip of 1600 miles was worth every minute of it. We checked in to our hotel and headed right out to Anahuac. We only had a couple of hours this evening, but the birds were great. We only had 50 species this evening, but some really nice birds were among them. Black-necked Stilt was abundant! A pair of Black-bellied Whistling Ducks flew by close, calling as they passed. A Swainson’s Hawk was a good find. King Rails seemed to be calling everywhere, but only one came out in the open (sort of). Larids included several pairs of Forster’s Terns, a pair of Least Terns and several Laughing Gulls. 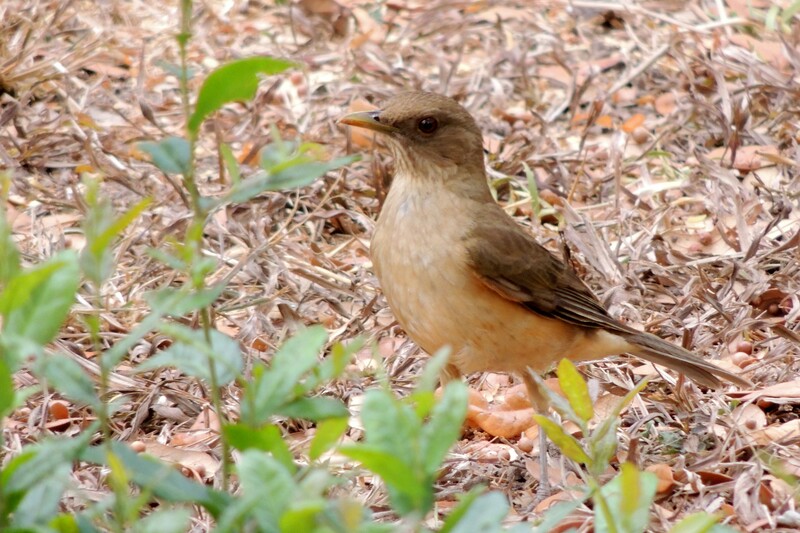 Sedge Wrens were singing in many spots. Many pairs of Scissor-tailed Flycatchers were putting on a nice show. As I walked one of the board walks, two beautiful male Orchard Orioles popped up in the reeds quite close to me. I’m not sure why, but I wasn’t expecting that bird. Loggerhead Shrike were quite common as well. The evening was all to short, but we will be back first thing in the morning. This morning we went to Anahuac early as we were signed up for the “Rail Walk” with David Sarkosi. 58 birders lined up to try for their life “YELLLOW RAILS”, none would be disappointed. We formed a line and walked through the marsh for a total of about a mile. We saw a total of three Yellow Rails during the walk. Seven Sora and one Virginia Rail were also seen. It was an exciting morning. Seaside Sparrows were abundant, as were Sedge Wrens. After the walk, Eddie and I toured the refuge again. Many new birds were seen. Fulvous Whistling Duck, Neotropic Cormorant, Whimbrel and Northern Bobwhite were seen. After finishing up at Anahuac, we headed over to “High Island” one of the most visited birding destinations in Texas. Normally, the place is jumping at the peak of migration, but not so much today. Still we had many great birds and it was quite a gratifying experience. Prothonotary Warblers, Worm-eating Warbler, Blue Grosbeak, Baltimore Oriole, Veery, Purple Martin, Crested Caracara and Inca Doves were all seen. When we finished up there, we headed west to Sealy, Texas. We checked out the Atwater Prairie Chicken NWR. Here the birds were few, late in the day. We did have great looks at another Swainson’s Hawk and our first White-tailed Hawk of the trip. 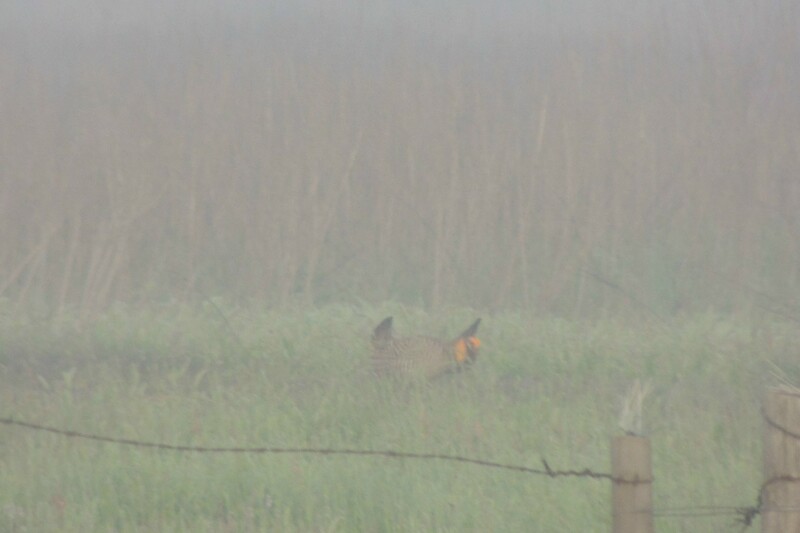 Tomorrow morning it is up early again for the Booms and Blooms Festival at the Atwater refuge where we will be taken to the Prairie Chicken lek. Hopefully, we will be as lucky as the participants were this morning and see the display of the chickens. We ended the day with 84 species! We were up at 5am again this morning to be to the NWR by 6:30am for the Attwater Prairie Chicken Tour. Early morning fog made viewing less than ideal, but did not stop the birds from putting on a great show regardless. We saw a total of 7 birds, two males and two females on one lek, and one male and two females on another lek. The Attwater Prairie Chicken is a highly endangered grouse that lives in only three locations in Texas. It is currently considered a sub-species of the Greater Prairie Chicken. It is the smallest of the three Prairie Chickens (Lesser falls right between the other two size wise). There are only about 100 wild birds between the three populations of Attwaters. It was a great privilege to finally get to see this bird. Other birds of interest this morning included many Bobwhite, 4 Upland Sandpipers and many Meadowlarks and Sparrows. When the tour was over, we headed west to Kerrville, Texas. It took about three hours and when we arrived, we went on to Lost Maples State Natural Area. Here I finally got my ABA GOLDEN-CHEEKED WARBLERS! In fact, I had at least six of them. Other birds of interest there were numerous White-eyed Vireos, Summer Tanagers, Black-chinned Hummingbirds, Orange-crowned Warblers, Blue Grosbeaks and many others. I wasn’t able to find a Black-capped Vireo today, but will be out to Kerr WMA tomorrow searching for them and Green Kingfisher. This morning I headed out to the above area. 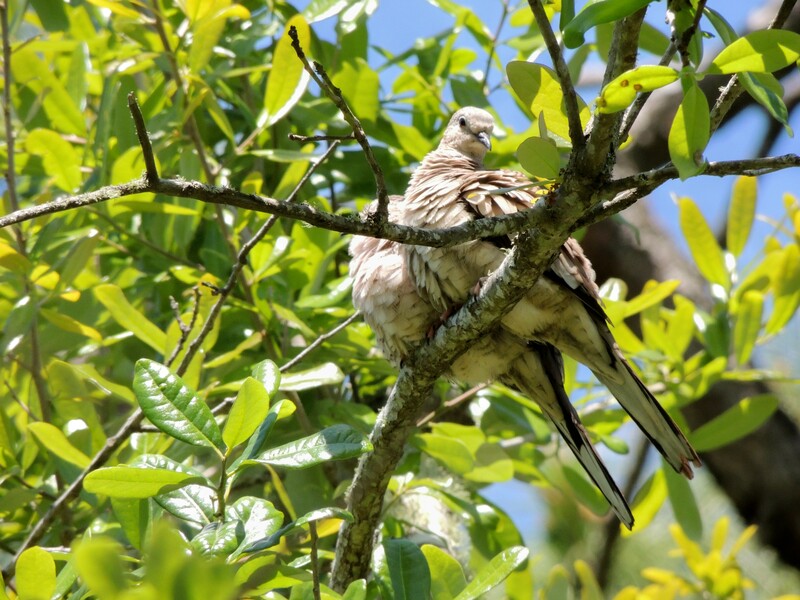 En-route I saw dozens of White-winged Doves. The WMA is a great spot! It was no time before I found my life BLACK-CAPPED VIREO right along the road into the WMA. Birds were showing all over. 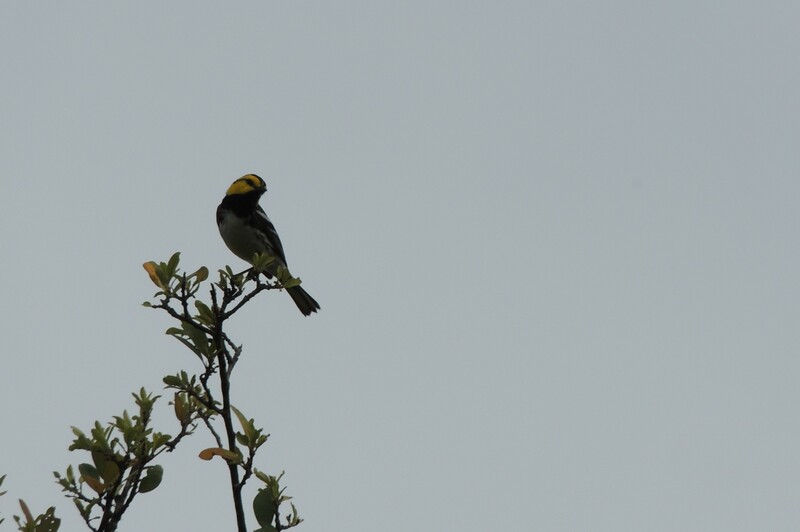 Summer Tanagers, Rufous-crowned Sparrows, GOLDEN-CHEEKED WARBLERS, Lark Sparrows and before the morning ended, a total of 8 Black-capped Vireos. Many species of birds were present and it was one of the birdiest locations of the trip thus far. 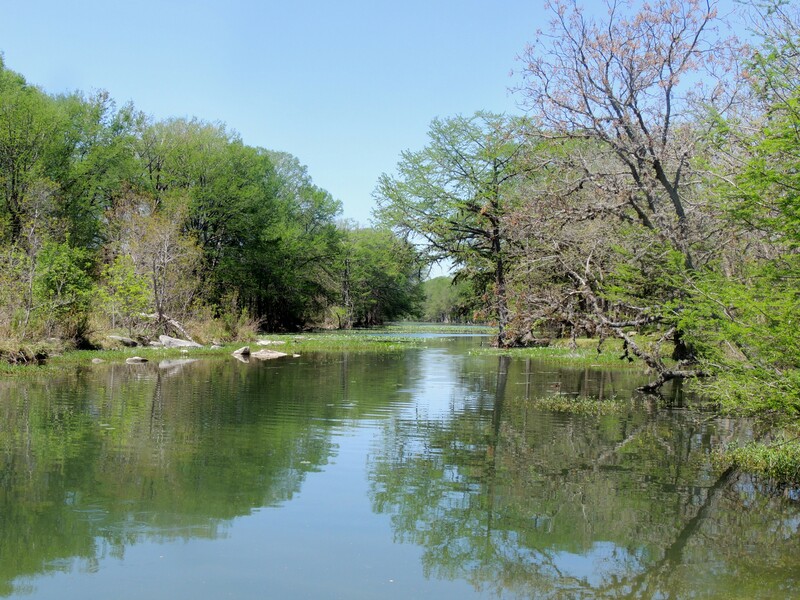 En-route, I birded areas along the Guadalupe River again. 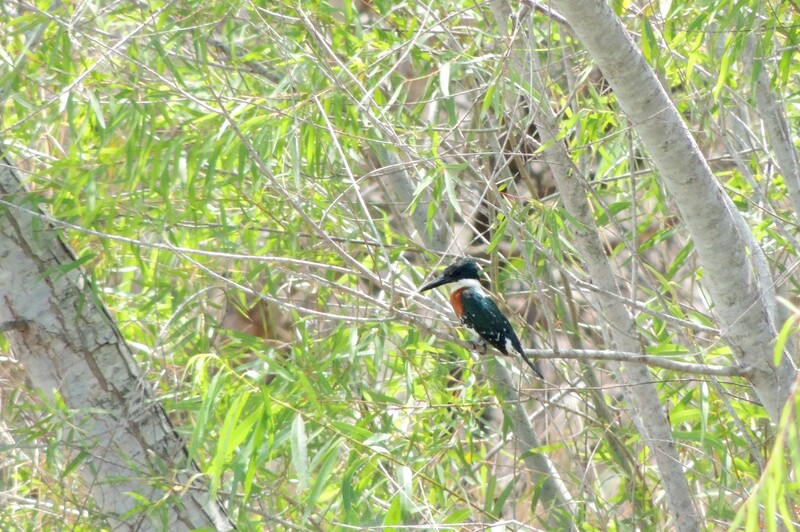 I found no Green Kingfisher this morning, so I hope I find them in the valley later in the week. I found a pair of Gold-fronted Woodpeckers, Carolina Chickadees and Orchard Orioles along the river. Some additional birds in the WMA were: Turkeys, White-eyed Vireo (abundant), Blue-gray Gnatcatcher, Field Sparrows, Bobwhite, Black-chinned Hummingbird and Eastern Phoebe. A great morning! We were up early and heading south to the Rio Grande Valley. We arrived around 11:30 and headed to one of my favorite spots in Texas, Frontera Audubon Thicket. I had somehow forgotten how great the birding is in the valley. 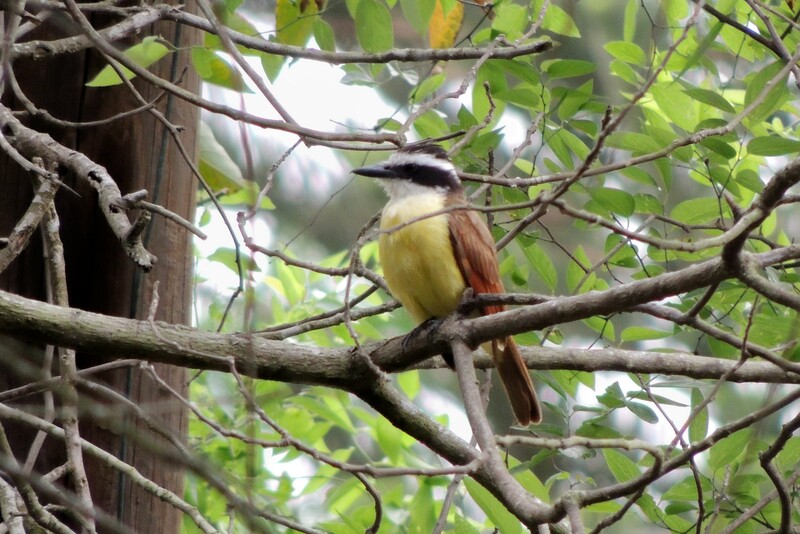 In no time I had seen many great birds including: Buff-bellied Hummingbird, Great Kiskadee, Green Jay, White-tipped Dove, Clay-colored Thrush, Golden-fronted Woodpecker, Olive Sparrow, Plain Chachalacas, Black-crested Titmouse and Bewick’s Wren. This is a real hot spot and I highly recommend that anyone coming to the valley this is a must see! From there we checked into our motel and then off to Estero Llano Grande. Another fabulous location! The number of birds here was astounding! I had 61 species in just a couple of hours here! Highlights included: Ringed Kingfisher, Green Kingfisher, Least Grebe, Wilson’s Phalarope, Common Ground Dove, Altimira Oriole, Couch’s Kingbird, Western Kingbird, Cave Swallow and Bronzed Cowbird. This morning we headed to Sabal Palm to try for the CRIMSON-COLLARED GROSBEAK and were fortunate to have many great looks at the bird. This was not a new ABA bird for me, the last time Bill Fiero and I birded the Rio Grand Valley, there were many as several spots due to a winter irruption of that species. There were many nice birds at this spot and I had some cooperative Buff-bellied Hummingbirds who posed for some photos. 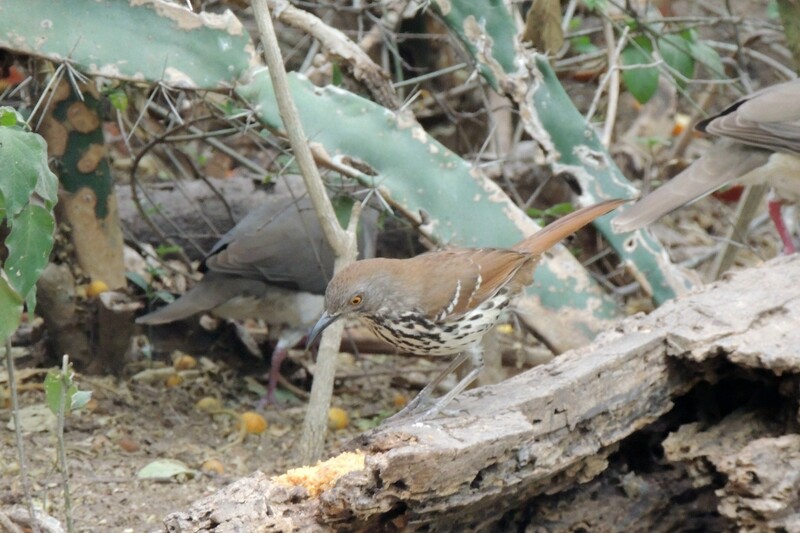 Long-billed Thrasher, Hooded Oriole and Kentucky Warbler were among new birds for the trip. From there we headed back to Estero Llano Grande. The place was jumping like yesterday, but today many of the birds were more photogenic. New birds for the trip included Stilt Sandpiper, Yellow-billed Cuckoo, Curve-billed Thrasher and Cooper’s Hawk. 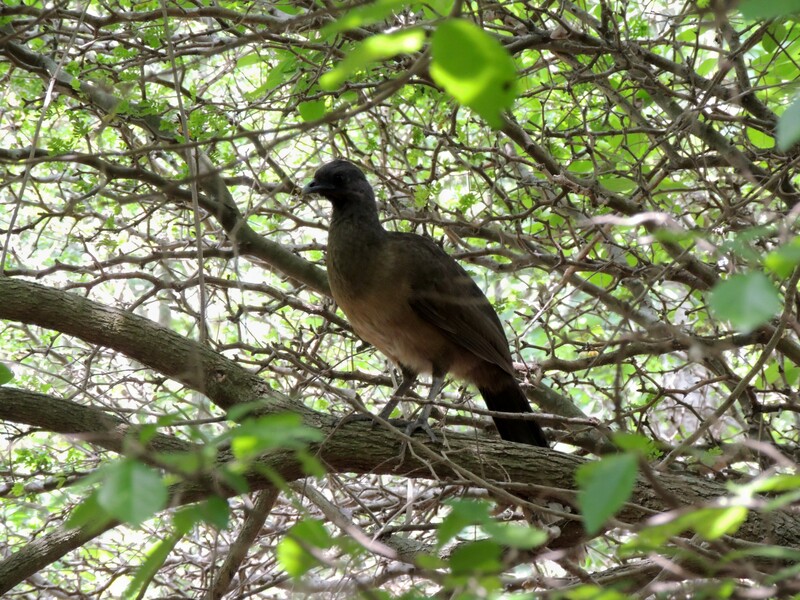 The Cooper’s Hawk flew in out of no where and took a Great-tailed Grackle right out of the air. As it tried to fly off with it, two more GTGR flew in and hit it. It dropped the prey right into the pond. 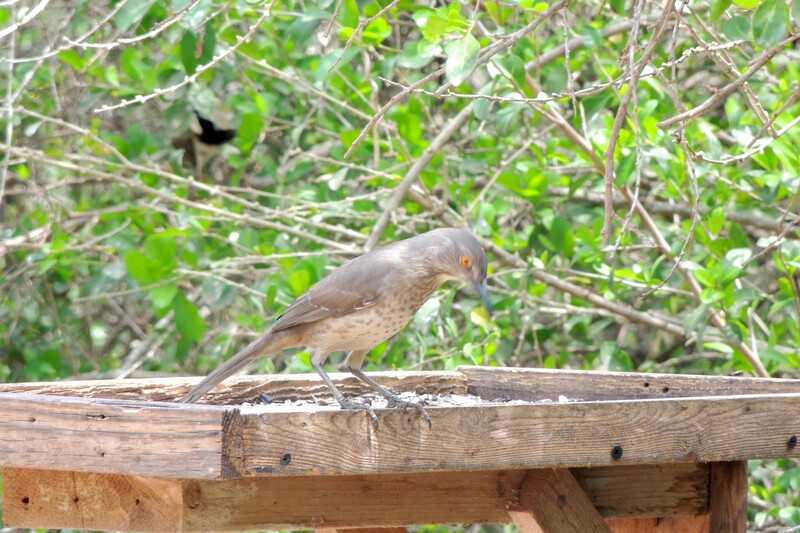 The bird thrashed around a minute and then became quiet. It floated around, hoping not to be hit again. When I left, it had nearly floated to shore, but I don’t know what condition it was in. The other grackles had driven off the hawk. This morning Eddie and I went to leave the Rio Grand Valley when I discovered one of my tires was nearly flat. That happens some times with extreme temperature changes, and yesterdays 98 degree temps might have caused it. At any rate we departed nearly an hour late after having it taken care of. Three hours into our trip north, the extreme cold front forecasted hit with a vengeance. Winds were 50-60 mph and the rain was torrential. This made driving hazardous and very slow. We finally arrived in Winnie, Texas over 2 hours later than expected. When I got in the motel, I immediately went on the internet and found out the Ruff/Reeve found last week right after I had departed Anahuac was being viewed at that very moment. Only 15 minutes away, I flew over to find several birders just packing up. I asked if the bird was still present and a couple directed me to where they just left it. I couldn’t initially find the bird in the deep grass. The couple returned, and a couple other birders joined us. 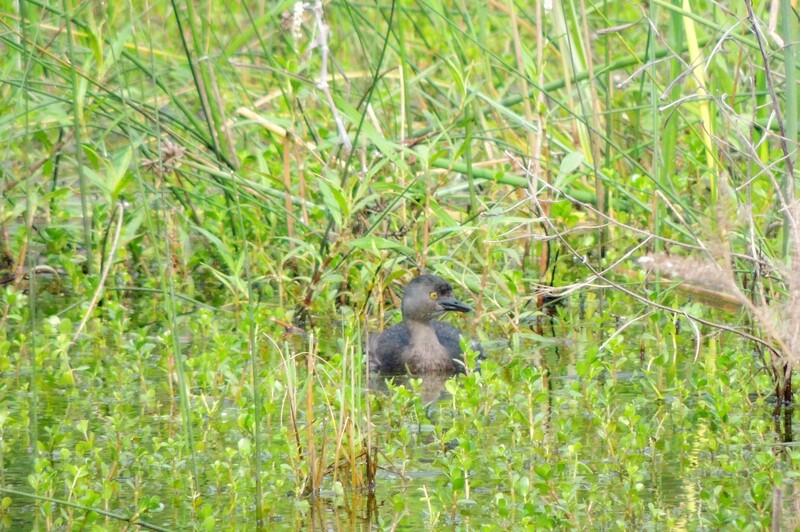 As we searched, I noticed two birds fly across the wetland and land only about 150 feet from us. When I got on them, the REEVE was one of them. We all got on them and had great views. Just as the bird was moving closer and I thought I would get a pic, the cold front reached us. Instant high wind and pouring rain sent us all running to our cars. Talk about good fortune! If we hadn’t been so delayed and arrived just when we did, I would have been birding High Island and not have known about the Reeve (the now official ID of the bird). If the front passes this afternoon, I will be out to High Island this evening. If it doesn’t pass that quickly, I will be there in the morning. Thanks so much to Daryl and Stacy Williams for their help in finding the Reeve! The rain stopped shortly after 4:30pm and I spent until 6:30 at High Island Smith’s Woods. It wasn’t quite as birdy as I had hoped, but I did add quite a few birds for the trip, most new to my Texas list. 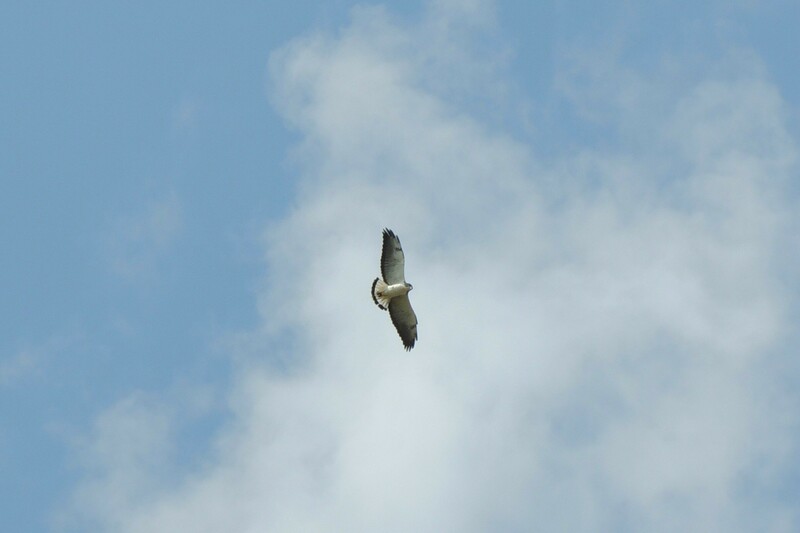 My biggest surprise was a flyover Swallow-tailed Kite! Highlights: Prothonotary Warbler, Golden-winged Warbler, Tennessee Warbler, Scarlet Tanager, Cedar Waxwing, Indigo Bunting, American Goldfinch, Summer Tanager and Northern Waterthrush. Hopefully more will come in overnight, I will be out first thing in the morning. In Summary: Nothing new this morning at High Island. 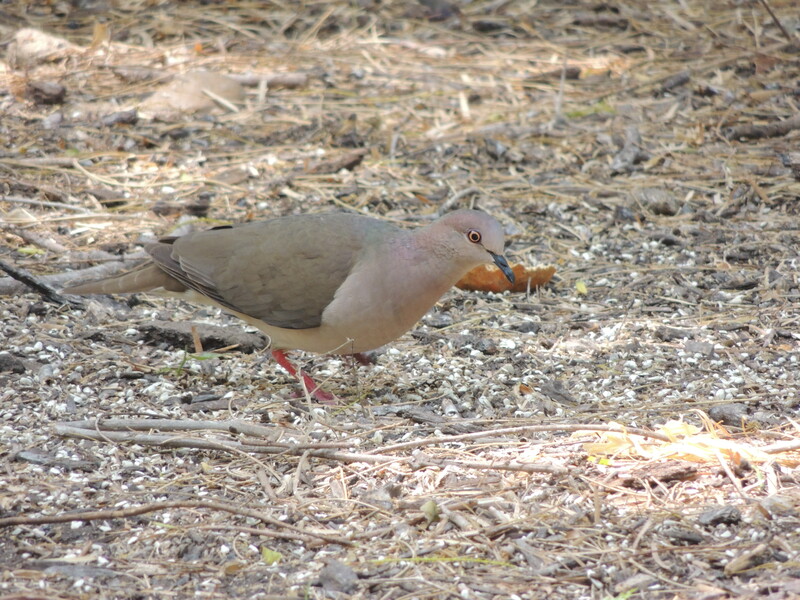 This was my eighth birding trip to Texas and was designed to be a mop up of the birds I still needed there. 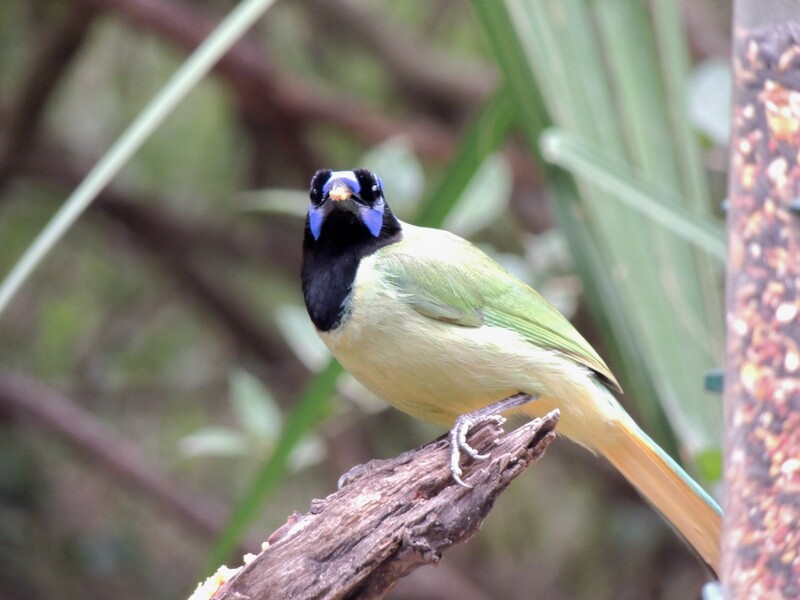 My original list of birds contained eight target species from Texas. Logistics for this trip ruled out three species. That left 5 birds, four species and one sub-species I still needed from Texas for my ABA list. I was able to get four of the target birds. I was unable to make any arrangement to see Ferrouginous Pygmy Owl due to a lack of individuals at their usual sites. This was attributed to the severe drought south Texas has been experiencing. The four targets I did get were GOLDEN-CHEEKED WARBLER, YELLOW RAIL, BLACK-CAPPED VIREO and ATTWATER’S PRAIRIE CHICKEN. I had a total of 178 species during my week in Texas, including 34 new state birds, bringing my Texas State list to 305. This was a great trip and some really great birds were able to be seen. I hope you enjoyed reading about my trip. Below is the complete list of birds seen in Texas this trip. One last note: In reflecting on my trip to Texas I have to give one last plug to Estero Llano Grande. This is one of the best birding destinations you can find anywhere. I used to bird this spot many years ago when you could just go in and drive the dikes. It was fabulous then! Now, with many years of managed habitat, its just off the charts. I had 76 species there in the two days I visited. The “Big Day” team I met while there had 110 species that same first day, just in that park! 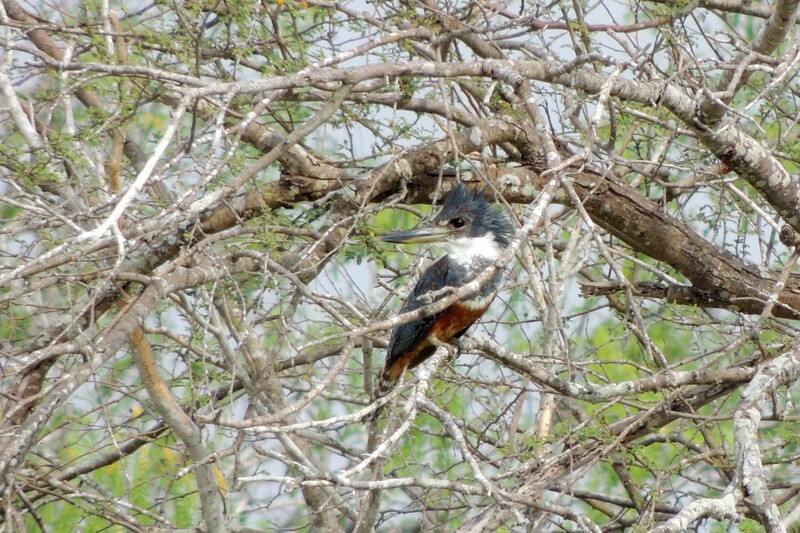 If you have a brief time in south Texas, I would recommend Estero Llano Grande as the site you just have to see! Nice photos, John, especially the flycatcher. It must be nice to see the Loggerhead Shrike as well. Seeing your shots of the Attwaters race of the Gtr Prairie Chicken recalled for me my fortune in seeing several of them in the very same place many years back. I identified their “booming” long before I got to the birds. It was very memorable. CONGRATS on them and the Yellow Rails John! I still need that one. Wow John ! What great birds! Love the photos and I’m so happy you got the Yellow Rails and the GC Warblers and I loved the photo of that Green Kingfisher. Those Prairie Chickens must have been amazing to see! You are racking ’em up!! I’m not worthy! 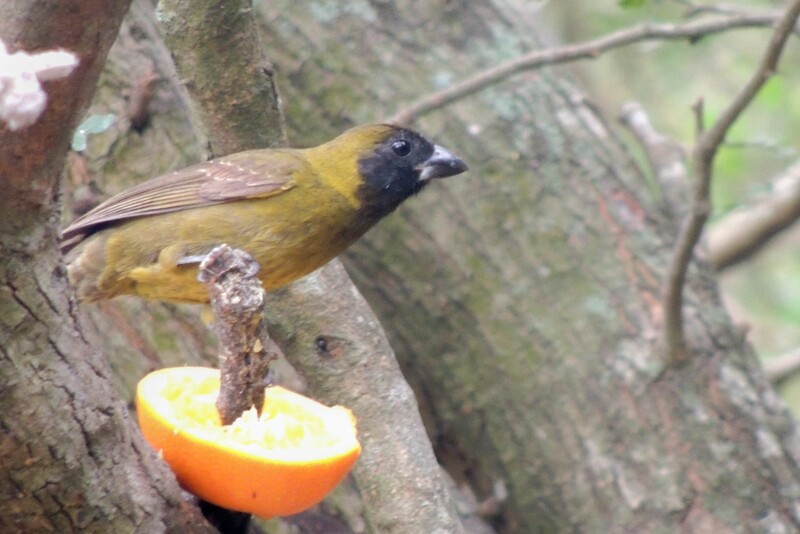 Thanks Bill!� Thinking of you today as I saw the Grosbeak! I need King Rail (dipped on them in Louisiana), Attwater’s (in fact ALL the Prairie Chickens), Golden-Cheeked, AND Black-Capped. Next year, good buddy! Next year. Oh, yeah, Yellow Rail as well. Glad to see Frontera Audubon is still in the mix. You’ll get them all!� Both you and Jayne! Loving your posts, John! Haven’t been to Texas yet. Have a great time and hopefully I’ll see you at the Bash in May! Nice summary, John. I enjoyed following your adventure. Reading parts of it brought back memories of my own trip to Texas a couple years ago. But now I’m curious what the other three missing birds are (besides the pygmy-owl) that you’ll have to get on a future trip. Thanks Greg, the three birds are Colima Warbler, Muscovy Duck and Gray Vireo.